(6:15 p.m. AEST) -- Royal Caribbean International will move Quantum of the Seas from its Asian homeport of Shanghai to Singapore in October 2019 for a six-month deployment. And as previously announced, younger sibling Ovation of the Seas will swap its Tianjin base (near Beijing) for Alaska in the 2019 northern summer season, operating more than a dozen cruises from May to September. These moves follow the recent confirmation from the line that Voyager of the Seas will return to Sydney for the Australian 2019-2020 summer season after a year off from the region in 2018-19. The first of the Quantum-class ships, 4,180-passenger Quantum of the Seas has been homeported in Shanghai since June 2015, six months after its launch date. During the 2019-2010 season, it will undertake a series of six different itineraries ranging from four to seven nights, with the mainstays being four-night alternate roundtrips from Singapore to Kuala Lumpur and Phuket, and to Kuala Lumpur and Penang. Other itineraries will include five-night 'Spice of South-East Asia' cruises, combining Kuala Lumpur, Phuket and Penang with a day at sea; and two seven-night cruises -- one each to Thailand and Vietnam and the other to Malaysia and Thailand. Ovation of the Seas, a favourite with Aussie passengers since it arrived to great fanfare in late 2016, will return later this year for another summer season. However, it will swap Tianjin for Seattle and head to North America for the 2019 summer. An identical sister to Quantum, Ovation will debut in Alaska with 15 seven-day 'Alaskan Glacier' round-trip cruises from Seattle, with visits to Endicott Arm and Dawes Glacier and ports including Skagway and the Alaskan capital, Juneau. 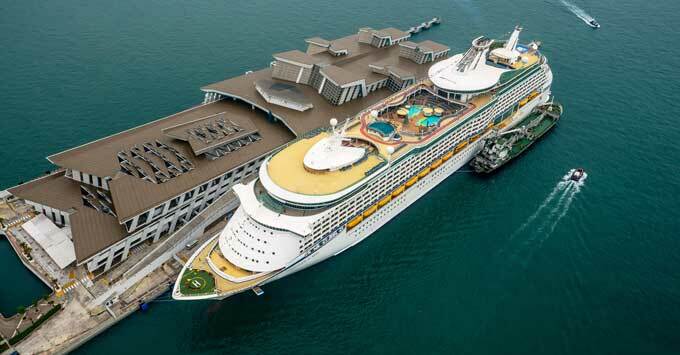 Quantum of the Seas' deployment in Singapore during the 2019-2020 summer season will be almost a direct swap with Voyager of the Seas, which will be homeported in Singapore for the 2018-2019 summer. Voyager of the Seas has been a regular visitor to Australia since it first arrived in Sydney in late 2014. Quantum's 2019-2020 season will comprise some 30 round-trip cruises from Singapore, from late October to April 2020.